This is probably my all time 'fave' dollar bin special. 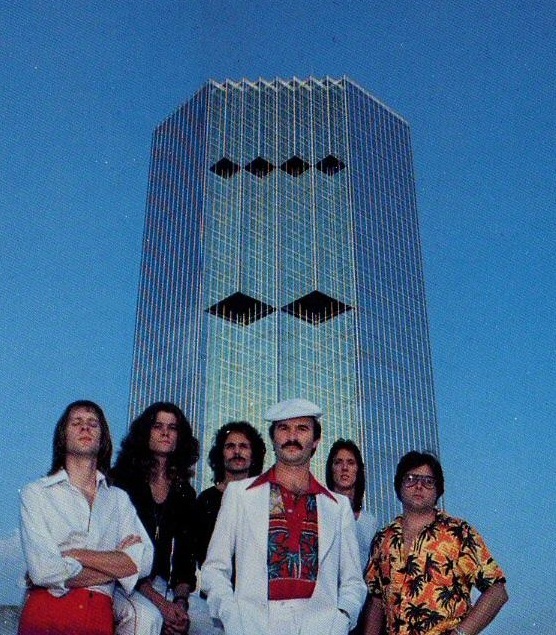 These guys are better known for their AM pop tune success 'Moonlight Feels Right'. 'Moonlight' easily put them into the soft rock hall of fame. Their other LP's are vaguely reminiscent of 'Moonlight' except for this one. None of the others albums are as interesting as 'Rock'n Roll Rocket' on a production level at least. This one, in my opinion stands out in epic format. This one is strange. Wish we could know more of the story behind this one. There's an abundance of heavy synthesiser use on this album, and truck of load of trickery and even some drum machine. And yet it's a theme that's not carried along on either the previous or proceeding albums. It's strange that they got so into keyboards and drum machine on this album, but then those components are missing from the other albums. This is indeed Starbuck's masterpiece in my eyes. It's rare to find an album like this. Trust me I'm constantly searching for stuff that sounds like it. Such great use of so many effects, such an interesting collection of songs, and it bounces about from bridge to chorus and from intro to turn around all morphing through some kinda hippie celestial thing. Each song, as goofy as they might be on the surface, are all incredibly clever. The entire LP makes for a really great and curious listen, yet a few songs stick out considerably more than others. 'Fat Boy' has the pimpish feel of flossing around in a big 70's or 80's American car. It's a morality tale with nice harmonica and synth sounds basically about 'don't ya get too fat' either physically or mentally. Famous Starbuck quote '22 Slims Jim's never gonna slim ya down', yet I think Dr. Atkins would disagree. 'Call Me' has got amazing synth bass lines and killer Rhodes work and is also graced by a vibes solo, not just once but twice. Then 'Benny Bought The Big One' sounds like ELO and 10cc had collision with Sly and The Family Stone. 'City Of The Future' and 'Sunset Eyes' are also quite memorable. I'd say the LP is 80% strong. But, again..it's such a unique piece of work that you should definitely seek it out and give it a listen. Not hard to find at all. Just check the bay. Or, your town record store dollar bin. This track, 'Fool In Line' is the creme de la creme. Fat synth bass line under belly. The lead moog is wicked, the guitar work is tight, and some of that backing synth sounds like theremin or something. Just genius production. This is the epicenter of blue-eyed boogie for me. The song that's on the 8 track player whenever your sailing about in the Bay, yacht rockin' it up. With this song, and Starbuck's whole relaxed soft rock approach you can see why this has been a secret obsession of mine. I thought I was the only one who loved Starbuck! A Fool in Line is my favorite track, but the rest of the album is pretty strong (with the exception of Little Bird and Rock 'N Roll Rocket, IMO). 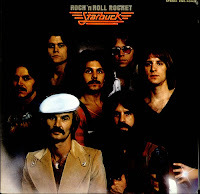 Rock 'N Roll Rocket is arguably the best Starbuck album--Brucey's masterpiece. It's a shame they didn't continue their studio wizardry into their third album. A Fool In Line has been my main jam for a month now. 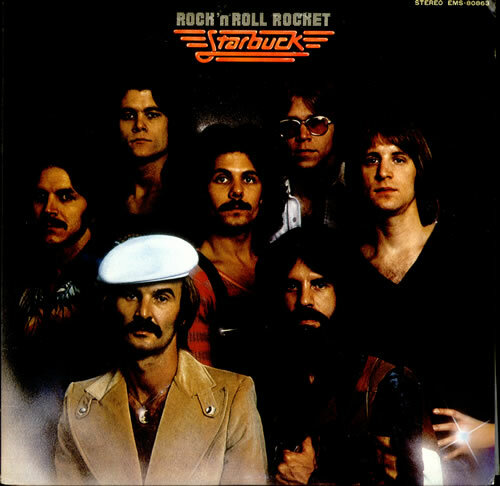 Starbuck's Rock n Roll Rocket album is indeed a classic.